A few days ago, a day after Internet Explorer 9 was released, Microsoft announced that it was downloaded 2.35 million times in the first day and congratulated themselves. Yesterday, Firefox 4 was released and it has easily gone past Internet Explorer 9's number. In a similar story, Opera 11 was downloaded 6.5 Million times on it's Day Zero. Mozilla has not made an official announcement, so we do not have the exact number. However, Mozilla has set up a download counter for Firefox 4 at glow.mozilla.com and according to that, Firefox 4 has been downloaded around 7 million times in the first 24 hours. 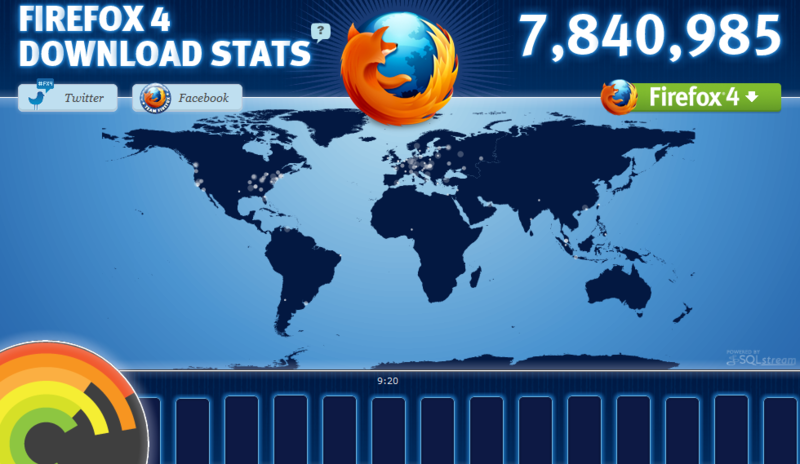 It is lower than the world record of 8 million downloads that Firefox 3 got, but it is still a very impressive number. Note: The image above was taken after 26 hours. That is why it is closer to 8 million than 7 million. 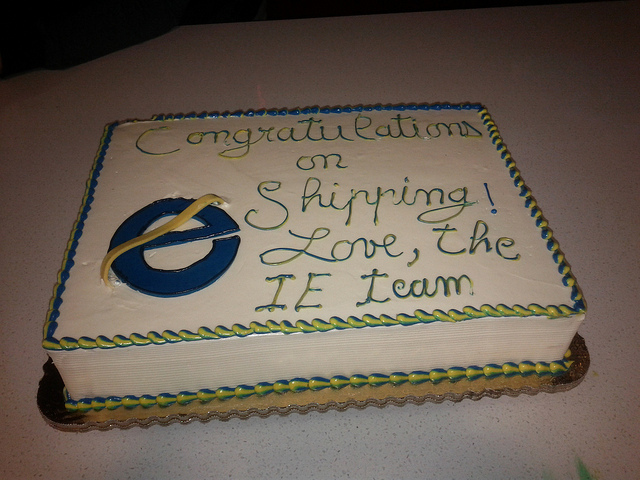 In a somewhat related news, the Internet Explorer team has sent a cake to Mozilla to congratulate on the release of Firefox 4. According to Frédéric Wenzel of Mozilla, the Internet Explorer team has sent them a cake for every major Firefox release since Firefox 2.